Apple dessert recipes are easy to make in the Instant Pot. 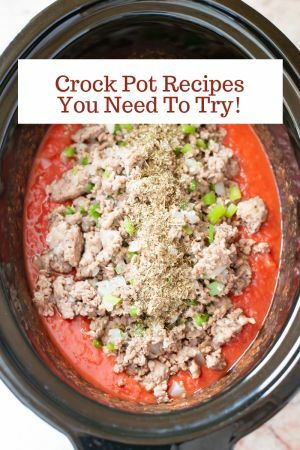 Instant Pot recipes save so much time in the kitchen! Fall is apple season and with so many apple varieties to choose from it is hard to pick just one apple variety that is my favorite. I have a couple of apple varieties that I find myself reaching for time after time when I am shopping. Gala apples are at the top of my list of favorite apple varieties. 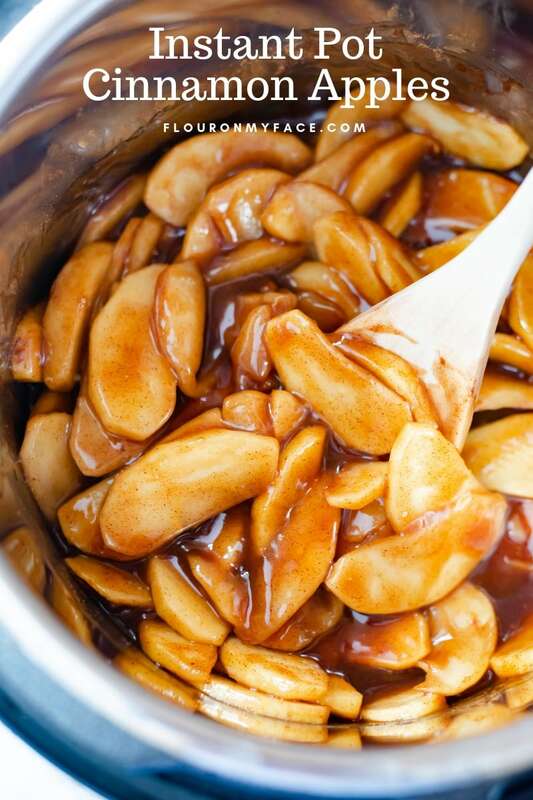 I love serving Gala Apples with my Crock Pot Caramel Dip. Warning! Crock Pot Caramel Dip is addicting! Along with Honeycrisp apples that I used to make this Instant Pot Cinnamon Apples recipe, I also love the crisp tart flavor of Granny Smith Apples. Granny Smith apples are perfect with any apple dip recipe or on a Cheese Platter. Pound Cake is one of those dessert cakes that tastes delicious but is improved with a sweet pound cake topping. 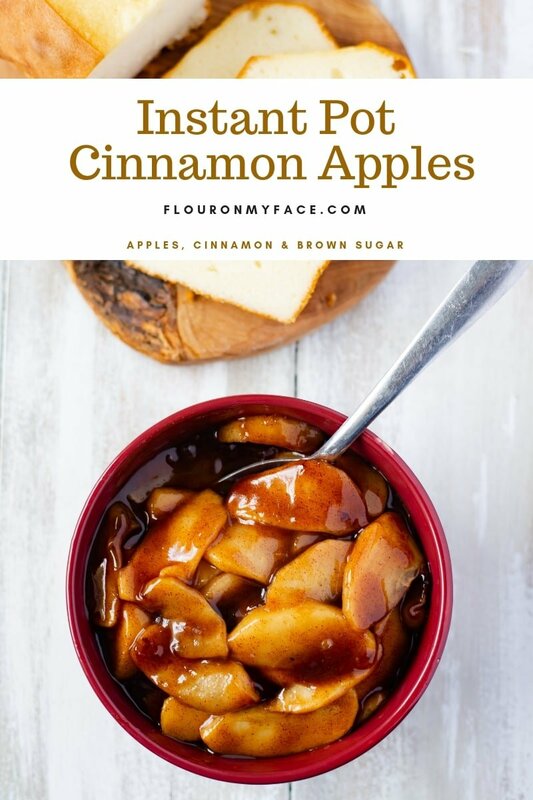 Instant Pot Cinnamon Apples are great served over a thick slice of buttery pound cake like a homemade Million Dollar Pound Cake. Or you can buy a pound cake from the bakery to have on hand for a fast dessert when company stops by for coffee. 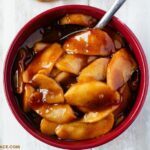 This Instant Pot Cinnamon Apples recipe can also be used for a quick and easy apple pie filling. Instant Pot Cinnamon Apples are very fast to make in the Instant Pot when you take into account the time it takes to prepare the fresh apples and add all the ingredients to the Instant Pot to pressure cook. 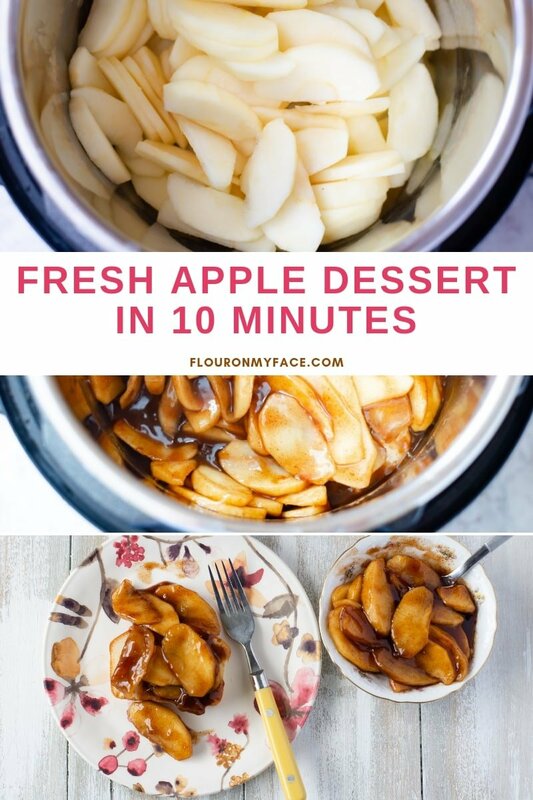 From start to finish you could be serving this easy fall apple dessert recipe in 10 to 15 minutes. Peel, core, and slice about 4 large apples and put them in the metal insert of the Instant Pot. 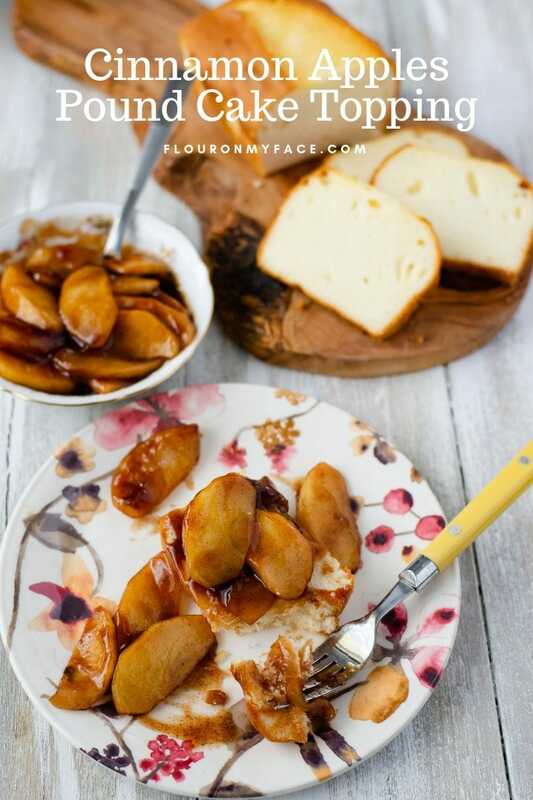 Add the cornstarch and water slurry to the Instant Pot and use a wooden spoon or large mixing spoon to mix the ingredients in and cover all of the apple slices. 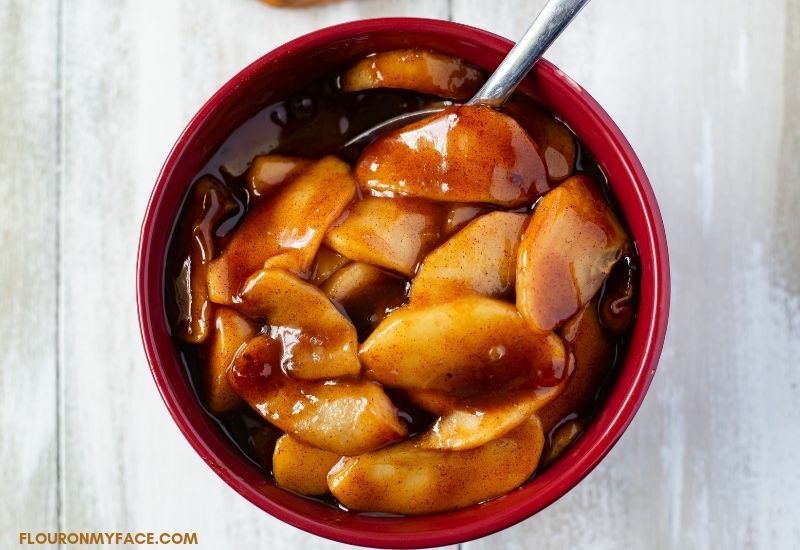 The cornstarch and water will act as a thicker and thicken the brown sugar, cinnamon, and maple syrup and give the Instant Pot Cinnamon Apples a thick glaze that will cling to the apple slices. 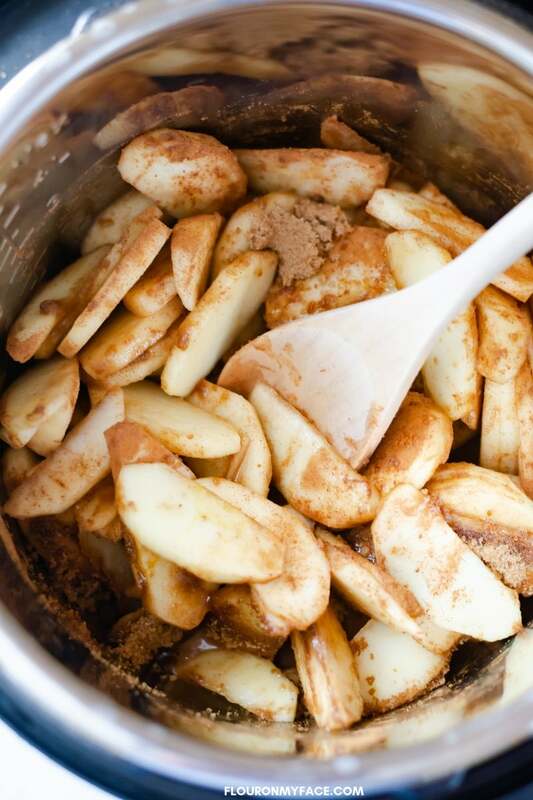 Cook the sliced apples with the spicy cinnamon, brown sugar, and maple syrup (if using). Check out the thick and rich cinnamon and brown sugar glaze that sticks to those apple slices. Add the brown sugar, cinnamon and maple syrup if using to the Instant Pot. Toss the apple slices with a spoon. In a small bowl mix the cool water with the cornstarch until lump free. Pour into the Instant Pot and stir to combine well. Place the lid on the Instant Pot and make sure the valve is in the sealing position. Press the manual button and set the time to 5 minutes for apples that are crisp and 10 minutes for apple slices that are softer. Once the Instant Pot has finished pressure cooking allow the steam to release naturally for 5 minutes. Push the valve to the venting position to allow any steam to escape. 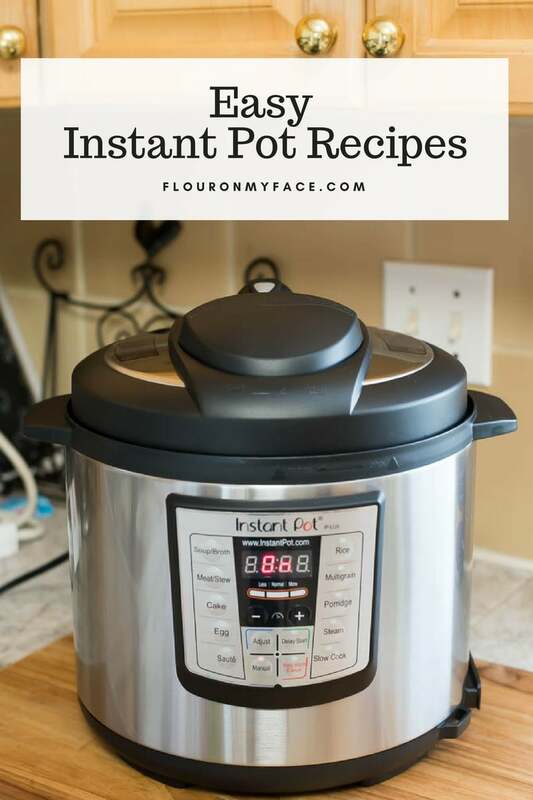 Open the Instant Pot allowing the heat and any steam to escape away from your face or hand. 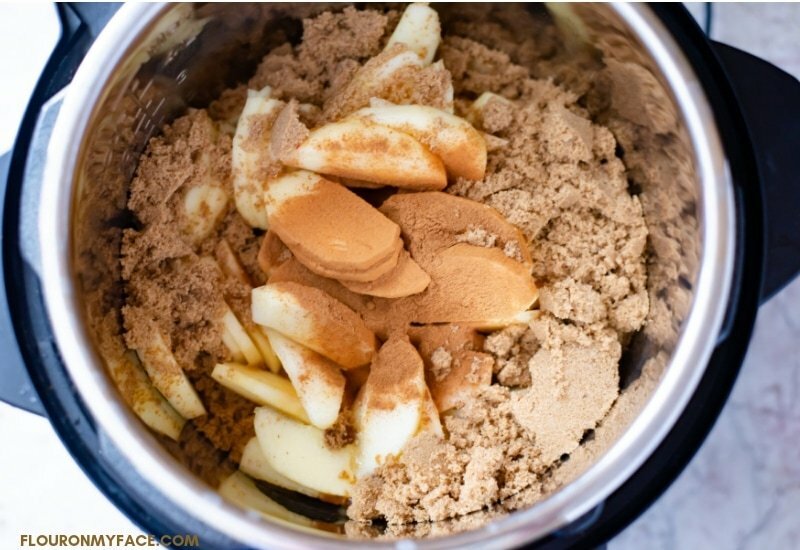 Mix the Instant Pot Cinnamon Apples and serve. Instant Pot Cinnamon Apples can be served warm on their own. Serve a large spoonful of Instant Pot Cinnamon Apples over a bowl of vanilla ice cream. Use Instant Pot Cinnamon Apples as pie filling. Lemon juice prevents the apples from browning and also brightens the flavor of all fresh fruit recipes. Peel one apple at a time, coring and slicing it, then adding the sliced apples to the bowl of lemon juice and tossing with each addition to prevent the peeled apples from browning. Crisp apple varieties like Honeycrisp, Granny Smith or Gala apples are the best apple variety to use for cooked apple recipes like Instant Pot Cinnamon Apples. I used the Instant Pot Duo 6 quart. If you are using a newer model or a Lux model increase the amount of water to 1 cup to prevent the Instant Pot Burn Notice. I used Honeycrisp apples for this recipe. Honeycrisp is a juicy apple variety. If you are using a less juicy apple variety you may need to adjust the amount of water using in this recipe. 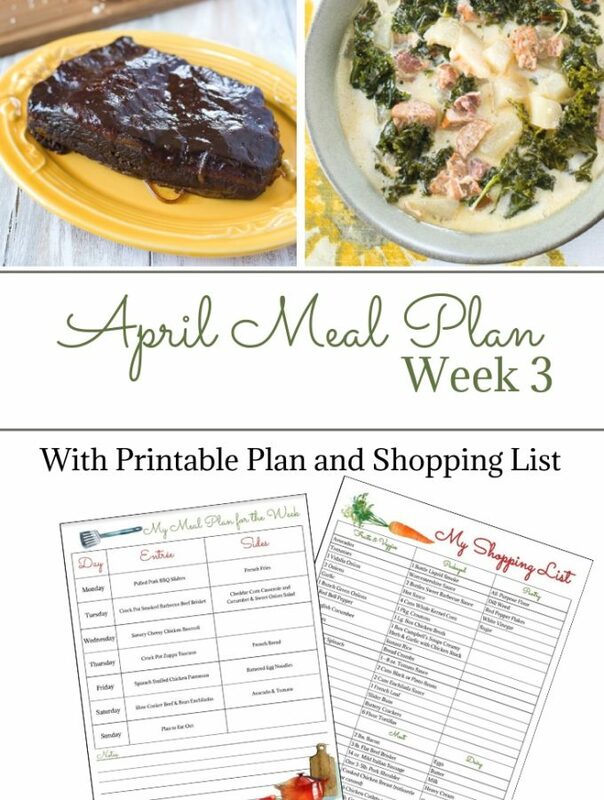 Need a few more Instant Pot recipes to make your life easier? Check out the Flour On My Face Instant Pot recipe page for more easy Instant Pot recipes! I don’t have an Instant Pot, but I do have a pressure cooker and a slow cooker. I know I can adapt this recipe for sure. Apple season is in full swing. This is a great recipe for so many applications. Perfect for fall desserts. 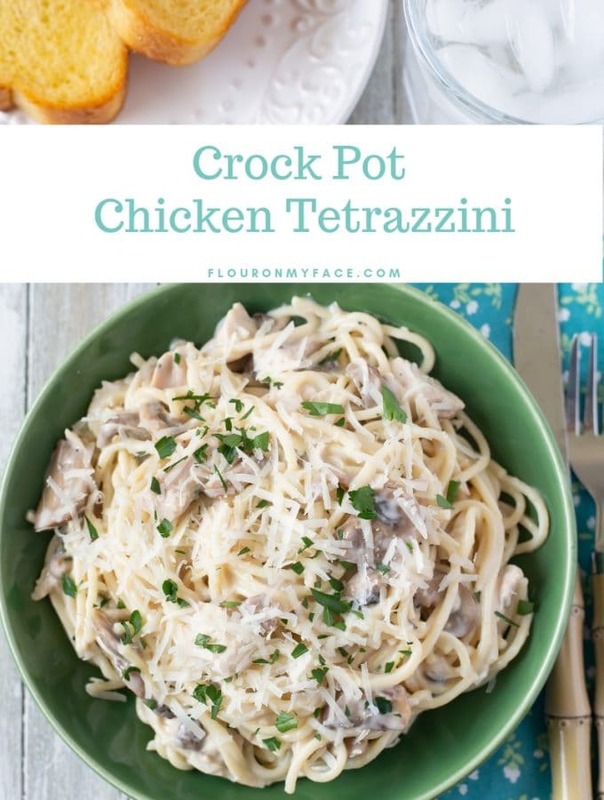 Gloria yes you can very easily use a crock pot to make this recipe. I love cinnamon apples. My kids have it every year warm cinnamon apples topped with ice cream in winter. Nothing beats that taste of fresh cinnamon and apples. This looks so good. Thanks! It is very good on vanilla ice cream. 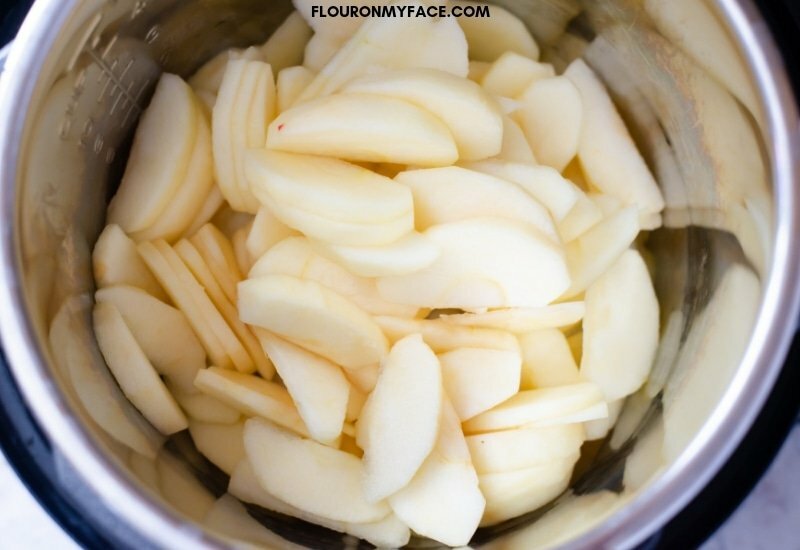 I did not think of doing apples in the Instant Pot….genius! My hubby’s family loves cinnamon apples but yours sound much more decadent and delicious. I’m going to try this for the weekend for my mother in law! I don’t have an Instant Pot and your apple recipes make me want to run out and get one ASAP. I’m going to have to pin this recipe for when I unearth our Slow Cooker. It’s somewhere in storage waiting for us to find a kitchen for it. I bet when the apples are cooking the house smells wonderful. Forget those scented candles — this is the real thing!! Have you ever made a lot of these and froze them? I made this today and it was delicious. I did have trouble getting the IP to come to pressure, so I just added about 1/2 cup of water on top of the mixture, without stirring it in. This fixed that problem. I also added some butter to the recipe. It is delicious and easy. Thanks. 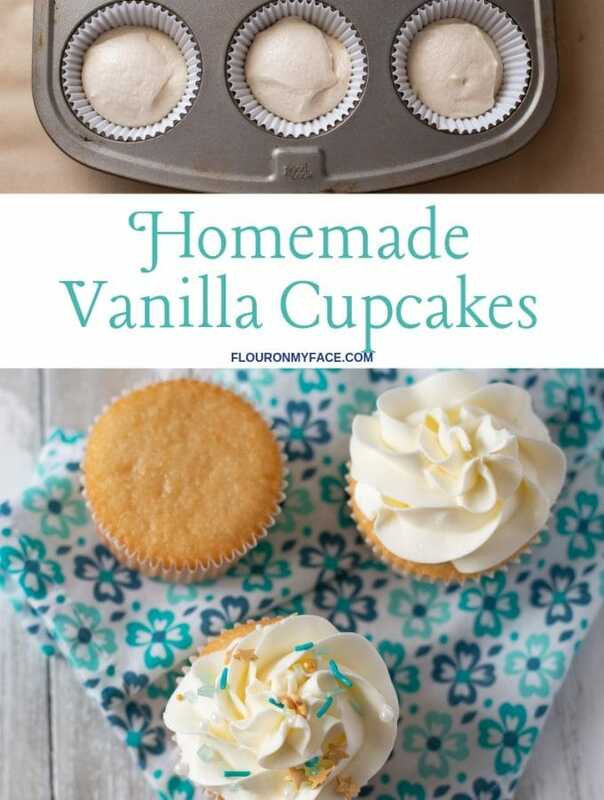 I tried this recipe but kept getting a burn message as the sugary syrup was sticking to the bottom of the pan – what did I do wrong – I’m a beginner!!!! Sorry to hear you are having a problem. No worries some Instant Pots are more sensitive. You can read my Instant Pot Burn Notice post for more info. Sorry, you’re having a problem with the burn notice. This seems to be an issue with the newer models of Instant Pot. I have made this recipe in the 6-quart Duo and the IP-Lux model and have never had a problem. 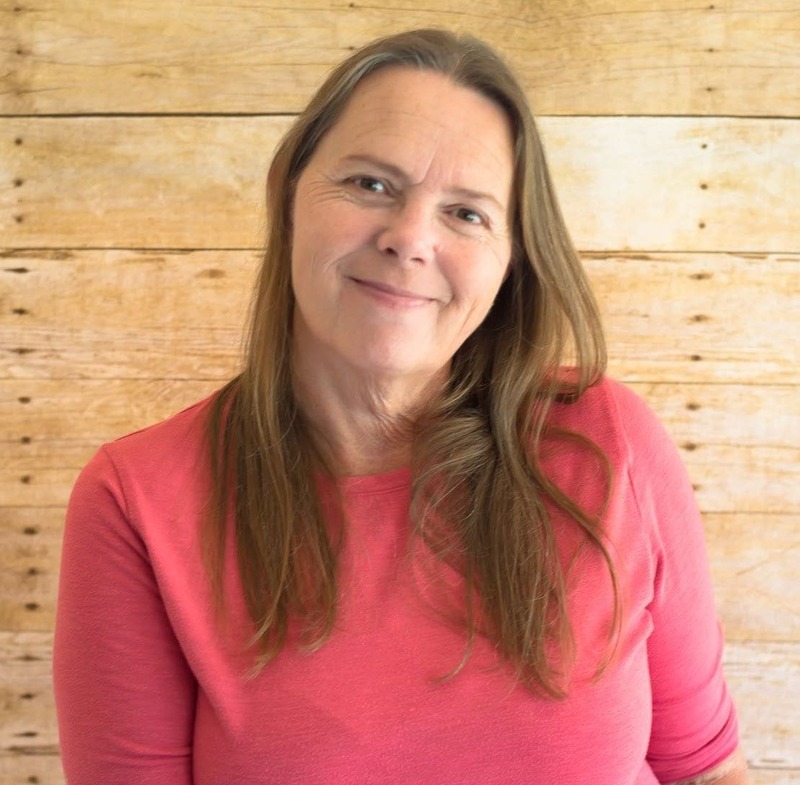 You might want to read my Instant Pot Burn Notice post for more info. I also wondered about the pressure cooker coming up to pressure with so little liquid used. Mine says a minimum of 1 cup of liquid, and I’ve gotten errors when I don’t allow for that. Since I’m using Gala apples I will add add’l liquid on top as well. I’m hoping them come out okay. I am finding that the newer Instant Pots will need more liquid. I have the 6 quart Duo and have never had a problem. I don’t typically leave comments, but I had to for this recipe. This is now my official go to recipe for apple filling. 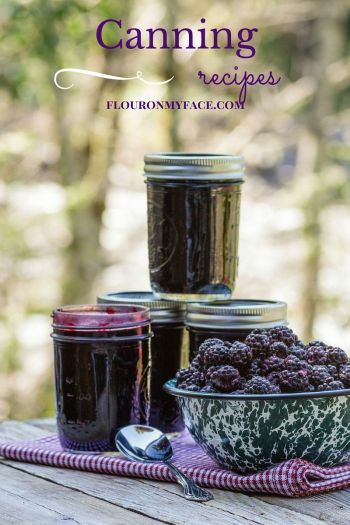 It is seriously amazing…and I plan on even giving in Mason Jars for Gifts…it is that good. I followed your recipe using the Granny Smith apples (that’s all I had on hand) and just mixed the cornstarch in 2/3 cup water, cooked for 8 min…it was perfect. Thank you, for a terrific recipe! Best Cinnamon Apples EVER! I use Granny Smith because we prefer tart apples. They are always a huge hit!! Thank you so much for this wonderful recipe! !